Paneer Ghee roast is a simple yet Delicious recipe which can be made very easily.Whenever I make paneer at home the first recipe which comes to my mind after cubing the paneer is this yummy paneer roast. Even though there are lot of paneer recipes my favorite recipes are paneer ghee roast and Matar Paneer recipe. This recipe can be made both dry and as well as semi gravy which goes excellent with rice, chapathi and pulao. 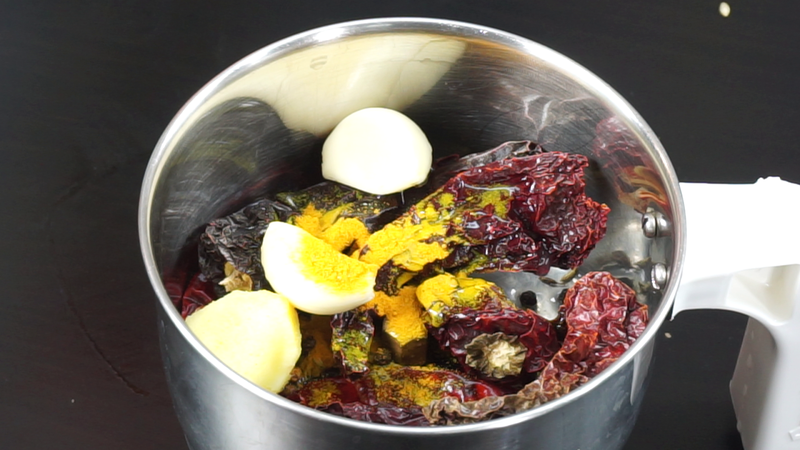 This recipe can be very easily because it does not involve any marination which we did for Chicken Ghee Roast.I am sharing this recipe for my vegetarian friends who are fond of paneer. 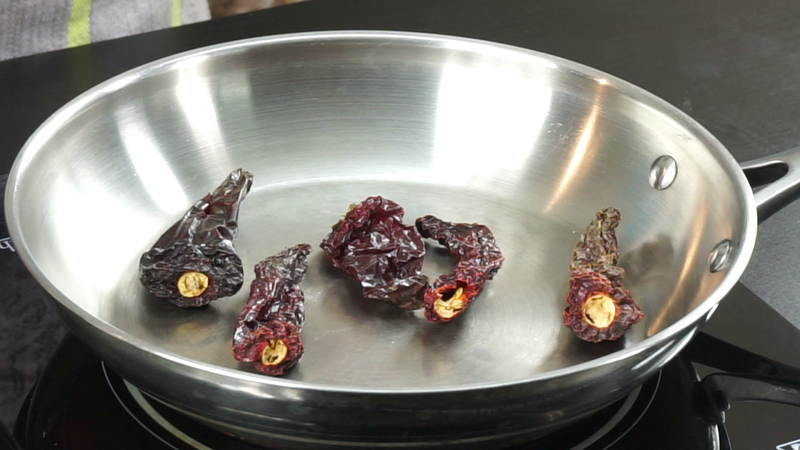 Dry roast Kashmiri chilies in a pan ,once roasted take it out and keep aside.Then in the same pan roast coriander seeds, cumin seeds, Fennel seeds, pepper corns and dry red chilies.The reason why we are roasting separately is because the kashmiri chilies are larger in size and all other ingredients are much smaller compared to it so the seeds might easily get burnt so to avoid burning we are roasting them separately.Do this on a low-medium heat and be careful while roasting the masalas, do not burn the seeds. Transfer all the ingredients into a blender and add a piece of ginger, garlic, lemon juice, Turmeric powder and grind it into a smooth and a thick paste.I have used 1/3 cup of water while grinding. 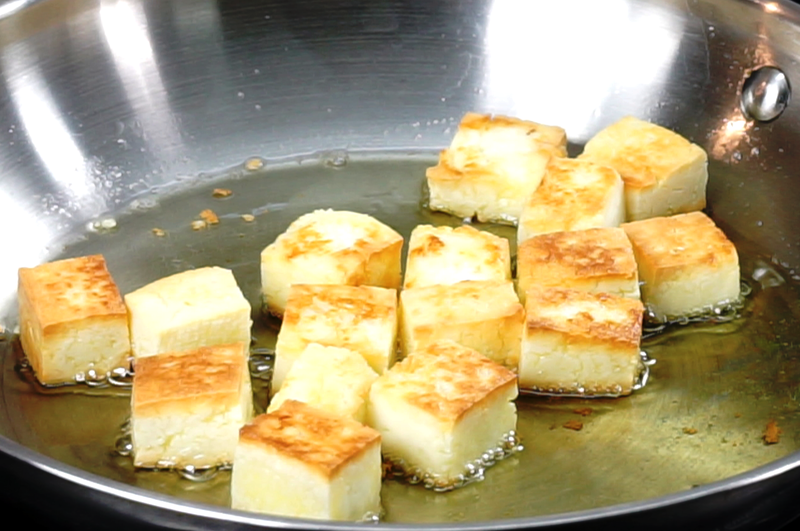 Melt ghee in a wide pan and fry the paneer on a medium heat until all the sides turns golden. 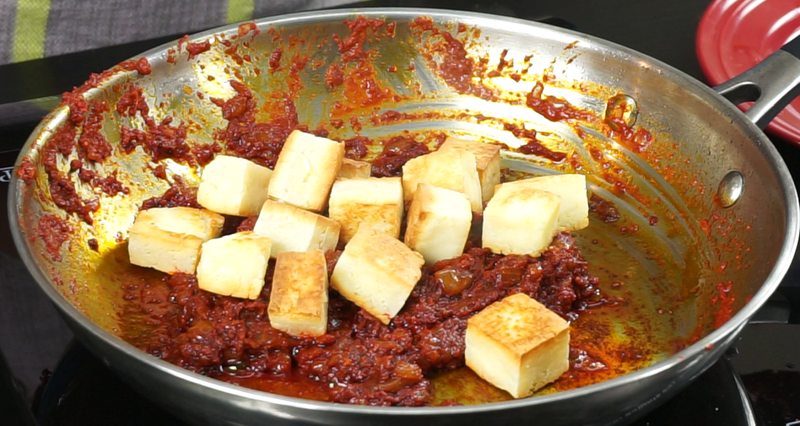 Cut the paneer into medium sized cubes.Do not over fry the paneer it will become hard so as soon as you see golden color remove the paneer from the ghee. 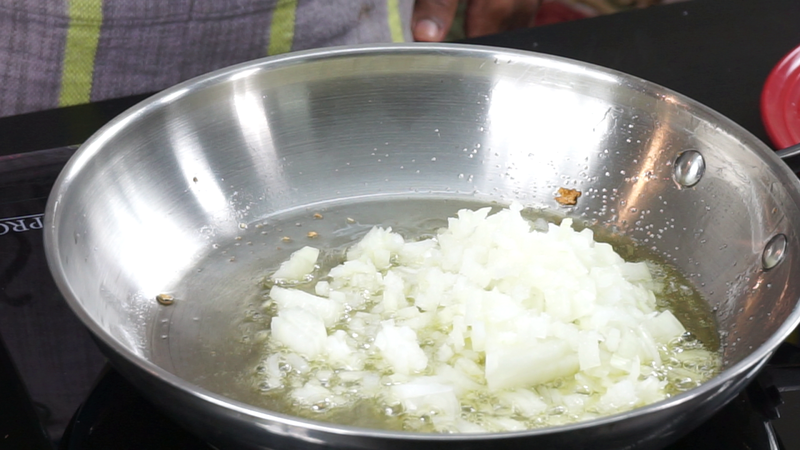 Now in the same ghee add one finely chopped onion, some salt and saute the onions for 2 minutes. 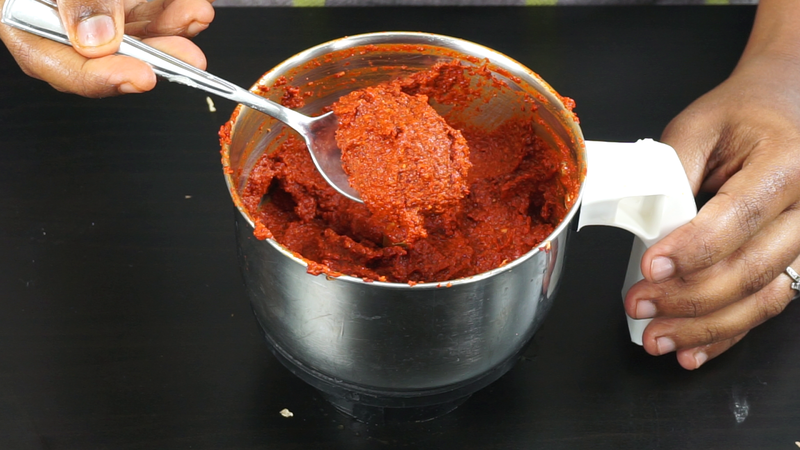 Once the onions are nice and translucent add the ground chettinad masala and also add yogurt to it and mix well and cook the mixture for sometime (8-10 minutes on medium heat) until all the raw smell of the masala is gone. 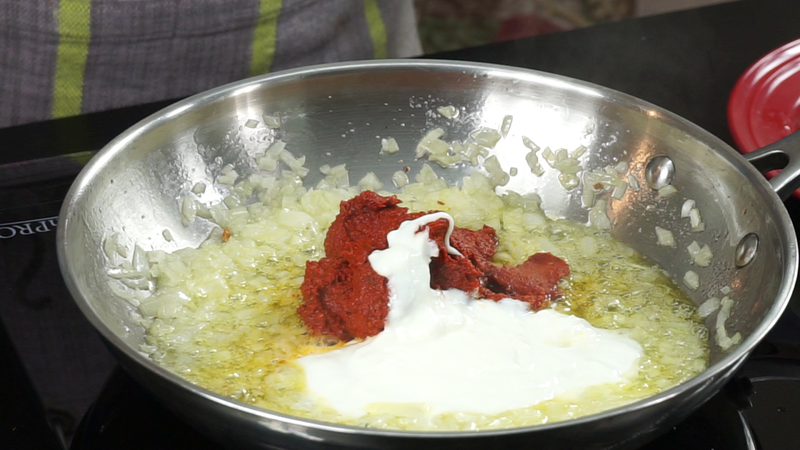 Once you see some ghee oozing out of the mixture it is perfect time to add the roasted paneer and mix it well with the onion masala mixture and cook for another minute.Finally add some curry leaves for garnishing and turn off the heat. That is it our delicious and spicy Paneer Ghee roast is ready to be served. It goes excellent with pulao and plain rice. You can make this as a semi gravy version by adding some water to the onion masala mixture and after it comes to a boil add the paneer pieces.Semi gravy paneer masala goes very well with chapathi and rotis. 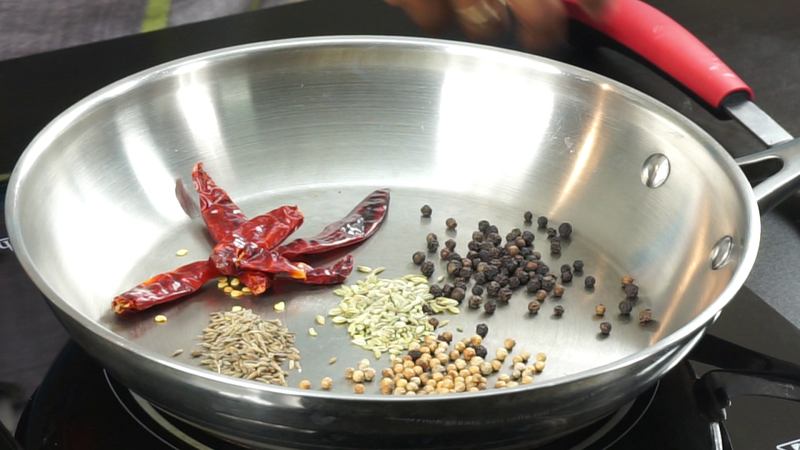 Add Curry leaves for garnishing. 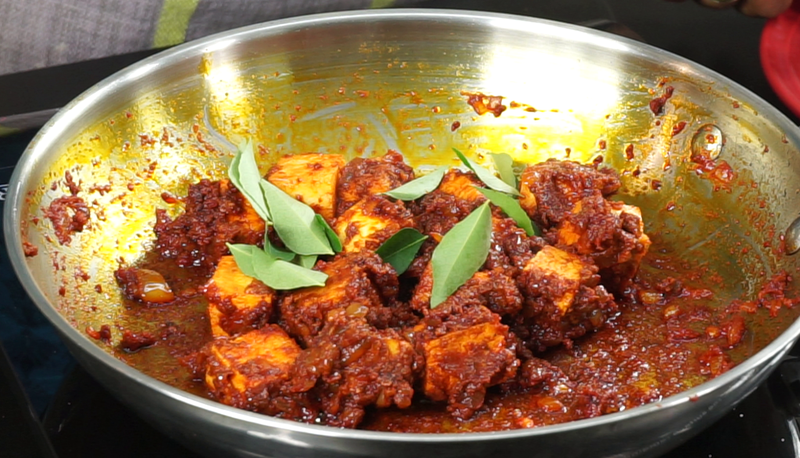 Paneer Roast recipe is ready to be served as a side for rice and chapathi.